best of: The Henry's Open House! 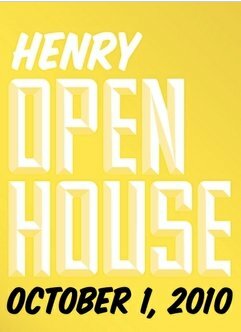 Have you gotten your tickets yet for this Friday's Open House at Henry Art Gallery? These are always so much fun! There will be 2 new exhibitions, live 60s soul music by The Witness, beer, wine and Cupcake Royale babycakes, an awesome glow in the dark slideshow by Sol Hashemi, rousing games in the Skyspace with Dawn Cerny and myself and much more! 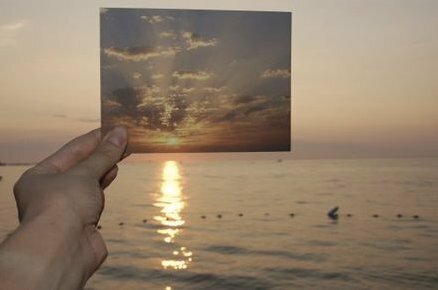 Image Transfer sounds like a great show - it explores the increasing popularity of image reappropriation for new creating new art. Artists, as both producers and consumers in today’s vast image economy, freely adopt and adapt materials from myriad sources. 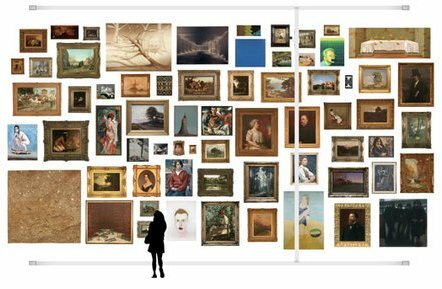 Images culled from the Internet, magazines, newspapers, advertisements, television, films, personal and public archives, studio walls, and from other works of art are all fair game. I'm really excited to see SuttonBeresCuller's breakthrough way to view the art in their installation Panoptos, the next iteration of Vortexhibition Polyphonica. 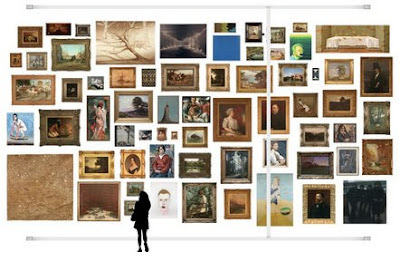 They culled the permanent collection for some of their favorite (and sometimes not even previously displayed) works of art and hung them salon style. A high definition camera is attached to a grid that allows viewers to control which painting to focus on. This sounds like it took forever to make happen. Had drinks with Lisa Oppenheim last night at the Guggenheim Berlin, and then today I see this from the past, so funny!